At RealNetworks, we’re in the business of transformation. Changing how people access media. Redefining how they consume it. Pushing the boundaries of what is possible. It all started with RealPlayer more than twenty years ago. Since then, we’ve redefined how people connect with music, video, games, and more. From GameHouse, a creator of top mobile and social games to mobile messaging, music, video, and ringback tone services that reach millions of subscribers. Join our team and make difference in how the next generation of media is shared. With our headquarters in Seattle, Washington, and offices in the Americas, Europe, and Asia, we serve consumers, businesses, and institutions around the world. And we’re always looking for smart, curious people who are passionate about the same things we are. Do you want to be part of a team that is constantly striving for something better? Come work for us. 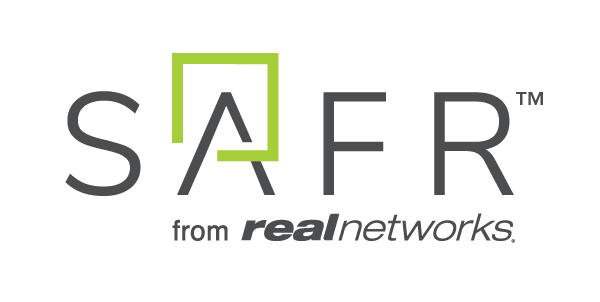 RealNetworks corporate culture is structured to run as a series of well-funded startup companies under the RealNetworks umbrella. Each of our business units – Mobile Services, Consumer Media, and Games – have unique brands and products tied together with our trademark dedication to sharing digital media through innovative, industry-leading technology. We believe in running lean and agile. When we moved to a brand new building in the summer of 2013, our new home was carefully designed to foster innovation and collaboration. Although we have a work hard ethic, we also like to have fun. From cupcake-laden happy hours and Mariners game day at Safeco Field to festive family holiday events and our annual new year Kick Off Party, we know how to enjoy the best of Seattle and beyond! At year-end, our annual Food Drive to benefit Northwest Harvest brings out our competitive sides to battle hunger and often includes corporate leaders agreeing to somewhat outrageous stunts for achieving group donation goals. RealNetworks is committed to our employees and their families. We encourage a healthy work life balance by providing a variety of great benefits; excellent health coverage; and a fun, entrepreneurial environment. Learn more about our US benefits below! Health and Wellness – We’ve got you covered! RealNetworks has a strong history of giving back to the community. In 2000, the Company created the RealNetworks Foundation which makes about $1.25 million in charitable grants per year. A hallmark of the Foundation is the degree to which it engages employees in meaningful ways in its grant making. Employees volunteer their time to review applications, make site visits and then present their funding recommendations to the Foundation Board. Serving on the Foundation's Review Team is a great way to get to know other employees while giving back to the community. The Foundation matches the personal contributions of employees at a rate of $2 for every $1 an employee donates to an eligible, 501c3 nonprofit (up to $15,000 per year)! The Foundation also matches the volunteer time that employees of RealNetworks contribute to U.S. nonprofits with a grant of $25 per hour (up to 100 hours per employee, per year).